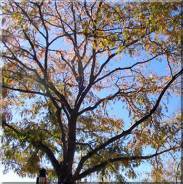 Trees are the most valuable landscape plants. When you care for them properly, they will live a long and healthy life. Proper pruning is critical to the health of your tree, and should be performed from a very young age if possible. 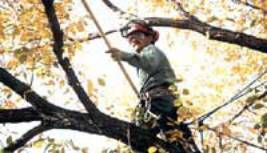 Good pruning keeps your trees attractive, healthy, and less susceptible to injury from natural forces. Likewise, poor pruning practices makes trees less attractive, more prone to pest and weather problems, and shortens their life span. To maintain the vigour and vitality of your specimen and historic trees the removal of dead and diseased wood should be performed. Setting the overall structure is vital in young trees and should be taken into consideration. When pruning the crowns of large and small trees no more than 25% of the live crown should be removed in one season. The use of spurs in tree pruning provides major tree problems which may include insect/disease infestation, damage to the outer and inner tree vascular systems and poor aesthetic value as the spur marks are visible on the trunk. Given the severe winter weather in this region it is important to consider the pruning needs of your trees in all seasons. Effective pruning practices not only serve to keep your trees healthy and vibrant but protect the people and property around and below. If an older tree was not pruned from an early age, defects that are in the tree could present hazards, but it is not too late to start pruning the tree now. Hazard reduction is important in preventing any accidents waiting to happen. Ask yourself if you want the next storm to knock down the dead branches in your tree or do you want to take care of it before an accident happens? The aesthetic appearances of large and small shrubs are enhanced by proper structural pruning that exposes yet individualize key features of branch shape, trunk characteristic and leaf colour. 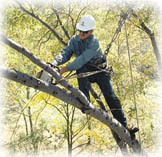 Pruning techniques that include removal of weak branch unions and crossing limbs, the consideration of the "flow" of individual branches and species specific details such as time of flowering is used by our highly trained arborists. Homes and cottages often have their sightlines impeded by trees and shrubs. Our arborists will evaluate your property and make recommendations to improve the view while maintaining the sense of privacy. Our approach focuses on preserving the health and aesthetics of the tree while ensuring the most picturesque view possible. Our arborist will be happy to visit your property to assess your trees and shrubs and give you a free estimate.